After being spectacularly hacked multiple times earlier this year, Sony has decided it’s tired of being sued for its security failures and other issues and is requiring gamers on its Play Station Network to sign an agreement saying they won’t join class-action lawsuits to take the tech giant to court in the future. Class-action bans are becoming standard in terms-of-service agreements offered by large corporations. The Supreme Court ruled last April that companies can ban class-action suits from customers as long as their agreements allow arbitration to settle disputes. Companies know, however, that consumers are less likely to pursue arbitration or court action – or attract the interest of an attorney – if they have to do so individually. Sony’s move comes four months after hackers breached its PlayStation Network in April and stole data pertaining to more than 75 million customers. This was followed by another breach at Sony Online Entertainment, which compromised an additional 25 million customers, and still more breaches at Sony Pictures and Sony BMG. 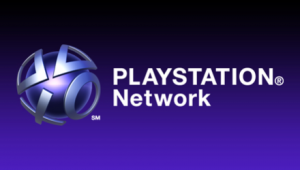 The initial intrusion forced Sony to take its Play Station Network offline for 40 days. Sony said a file named “Anonymous,” containing the words “We Are Legion” – a tag line regularly used by Anonymous – was left behind by the intruders.